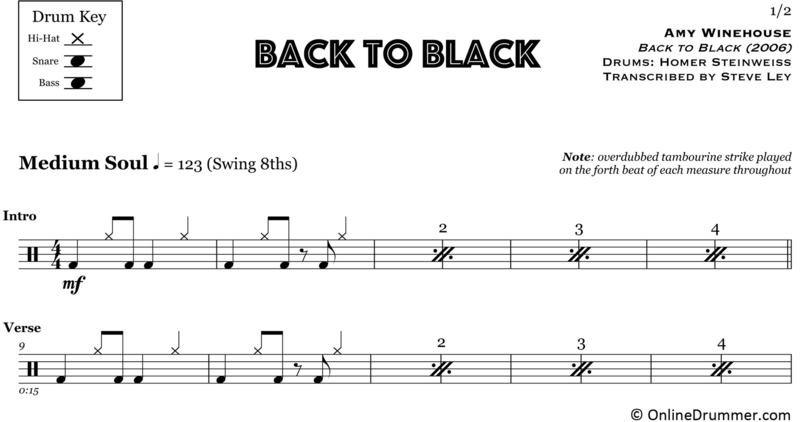 The full drum sheet music for “Back to Black” by Amy Winehouse from the album Back to Black (2006). 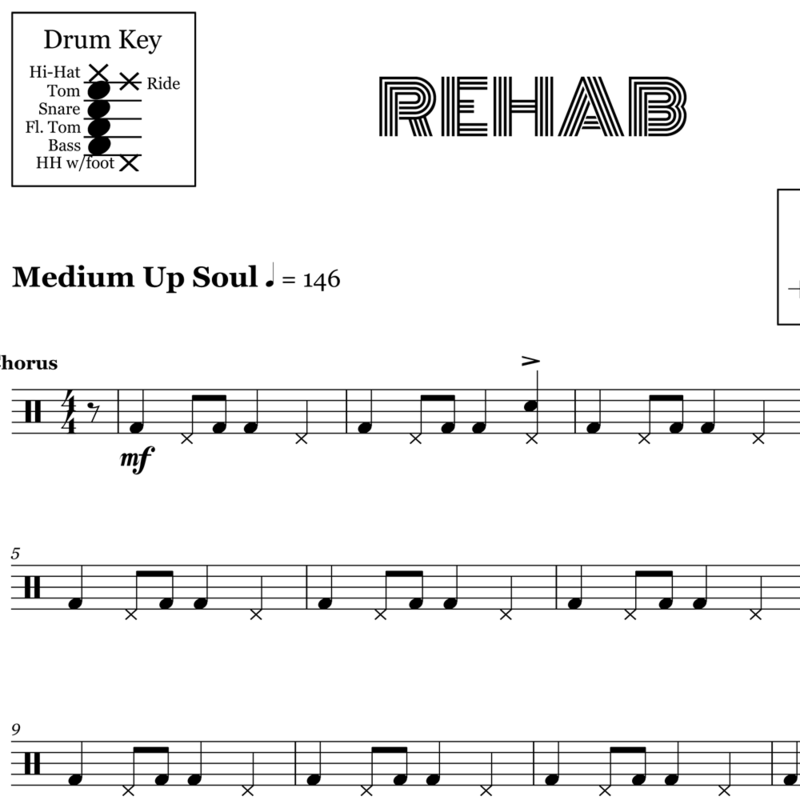 The full drum sheet music for "Rehab" by Amy Winehouse from the album Back to Black (2006). The full drum sheet music for "Valerie" by Mark Ronson featuring Amy Winehouse from the album titled Version (2007).